Lipo-GN® an powerful, multi-phase thermogenic & lipotropic system that employs advanced ingredients delivery technology in the sports nutrition field. This utilizes improved NanoPure quality system to ensure maximum results, fast and efficient acting on thermogenesis process. Lipo-GN® speed up your metabolism and increase the body’s ability to burn fat cells at a highly efficient and consistent rate. 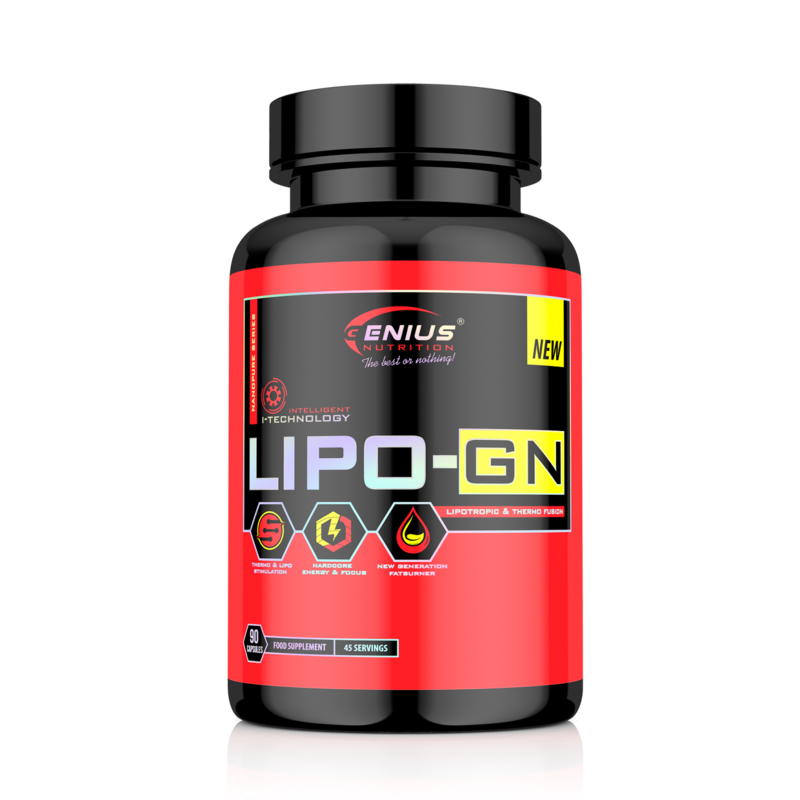 Lipo-GN® will help your body to trigger fat receptor cells and enhance the fat breakdown process. 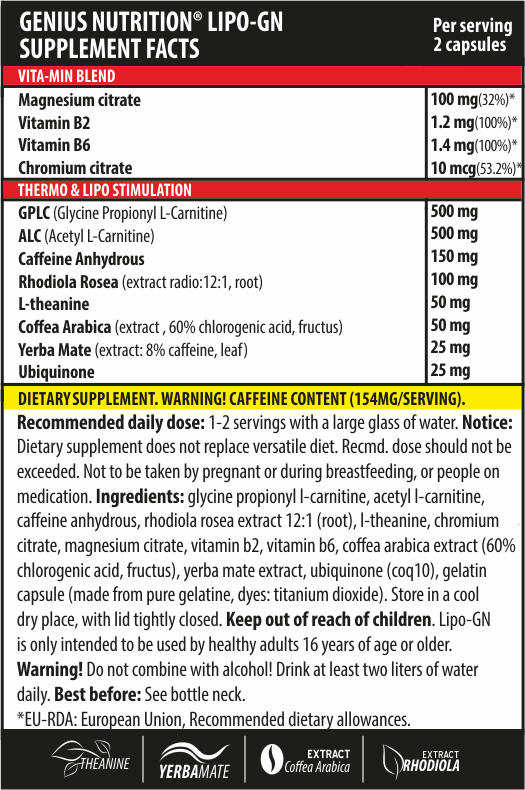 Lipo-GN® have inside the most advanced forms of L-Carnitine: Glycine propionyl-L-carnitine (GPLC) and Acetyl-L-Carnitine (ALCR). CARNIKORE allows you to generate and utlise all the energy within the body at a cellular level. Not only will your physical performance improve, so will your mental performance! It has also been shown to reduce fatigue and act as an appetite supressant, as well as benefit cognitive ability, memory and overall mood and well being. CRUSTACEAN, NUTS, GLUTEN, LUPIN AND SESAME. YOUR COACH OR CONTACT US VIA OUR WEBSITE FOR YOUR SPECIAL NEEDS. YOUR GP BEFORE TAKING NUTRITIONAL SUPPLEMENTS. .